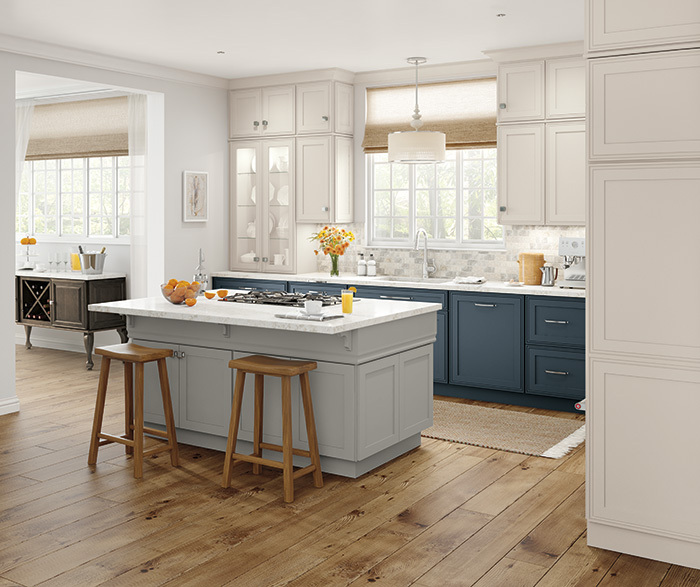 Your kitchen is arguably the most utilized room in your home. 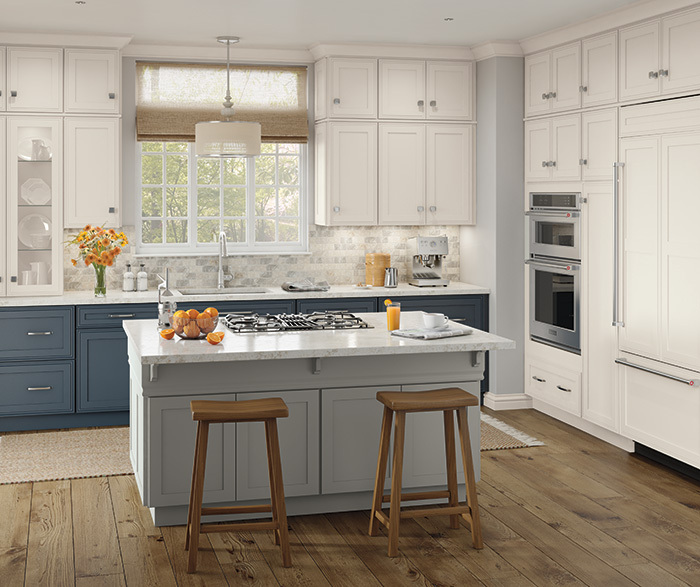 Achieve a cheerful and welcoming look with Delta cabinets in Icy Avalanche, Maritime and Stamped Concrete. These stacked cabinets, reaching from countertop to ceiling, create a lovely furniture effect.